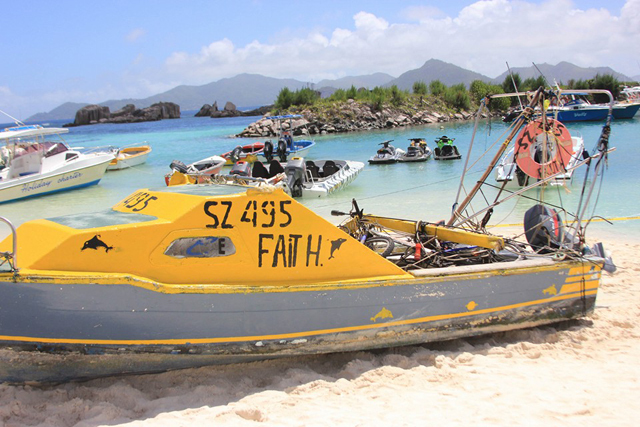 (Seychelles News Agency) - A Seychellois man who survived hours drifting at sea after a boat accident says it was thanks to years of experience working at sea and a promise made to his partner that kept him going. Aubrey Jacqueline, 33, was rescued together with 6-year-old Rio Chang-Tave after their boat capsized off the coast of the island of La Digue earlier this month. “I had never been involved in an accident at sea. I work as a seaman on foreign vessels. I started working at sea at the age of 18 or 19 and have been going to the beach since I was a kid. I also went to maritime school. We followed a three weeks’ course which covered firefighting, CPR and first aid. This helped me to survive,” Jacqueline said to SNA on Friday. 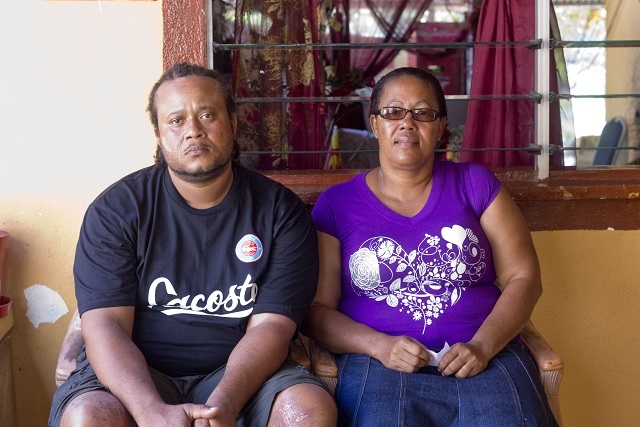 SNA met with Jacqueline at his mother’s residence at Au Cap on the east side of the main island Mahe where he is recuperating after being discharged from hospital. He recounted the event which he says happened after a day well spent with friends and family on La Digue during festivities organised for the Feast of the Assumption of the Virgin Mary, the Patron Saint of the island. Jacqueline and Chang-Tave were among three people who survived the boat accident. Three other people died in the tragedy. While the third survivor -- the skipper Teddy Stravens -- swam for help, for Jacqueline and Chang-Tave staying alive meant they had to survive some 16 hours drifting at sea. The incident reported at around 7pm last Saturday occurred in an area known as Ros Kannal, around halfway between Praslin and La Digue, which lie some 15 minutes apart when travelling by fast ferry. Jacqueline recounted how things went wrong after their boat – a 16-foot fibre glass registered as a fishing vessel -- was hit by a big wave, causing the skipper’s girlfriend, Cynthia Cesar, to lose balance and fall into the water. Cynthia was also the niece of Jacqueline's partner, Helena César. “The instant she fell into the water, the skipper stopped the boat…and got ready to dive in. At that exact moment the boat was hit by another wave causing it to capsize,” he recalled, adding that the skipper eventually managed to save his partner and bring her back to the capsized boat. Jacqueline explained how they hanged on to the semi-submerged vessel while the skipper swam for help. After the skipper found help, a search and rescue operation was set into motion to find the five others. Jacqueline recalled how together with his partner and the little boy -- his partner’s grandson -- they could see several islands on the horizon but couldn't swim to them due to strong currents. The rough seas and darkness of night also prevented patrol planes and boats searching the area for survivors from spotting them. 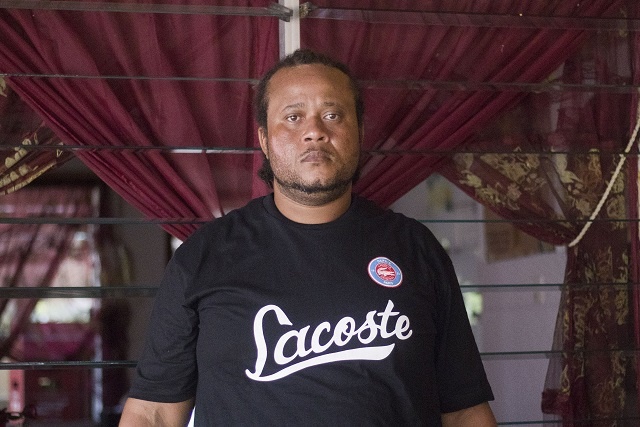 “We also prayed a lot and asked for the forgiveness for our sins,” recalled Jacqueline. Huge waves which rocked the boat around allowed them to get hold of a life ring. Using a pen knife he was carrying Jacqueline managed to cut loose the life ring and two buoys that were still tied to the boat. 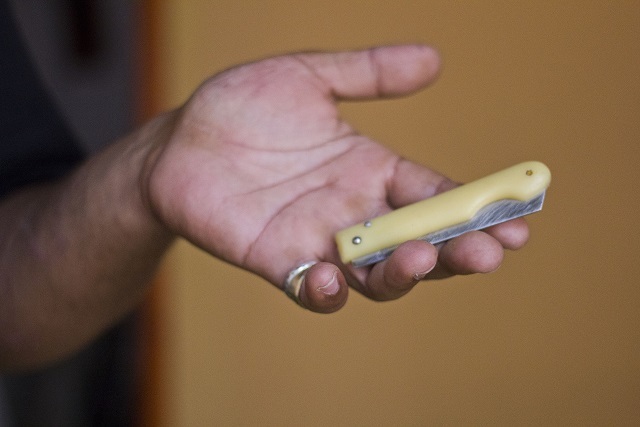 “As I work on a longline vessel, I never leave my pen knife behind. This is what saved our lives,” he said. In the midst of all the anguish and uncertainty Jacqueline had to face another difficult experience in the early hours of Sunday. That was the moment his partner of two and a half years, Helena, said she was too tired to go on. “Before giving up and letting go, she also told me to take care of her grandson, to make sure that he didn't die and I promised her that he wouldn’t die,” said Jacqueline. At some point the vessel onto which Jacqueline and Rio were hanging eventually sank. The two were left at the mercy of the open sea with nothing more than the buoys and life ring to hold on to. Jacqueline explained how he had to keep talking to the little boy to keep him awake. A ray of hope appeared after seeing helicopter Zil Air patrolling over the water on Sunday morning. “It hovered in the same place and I thought to myself that they must have found my partners body,” said Jacqueline adding that they were still not spotted by the helicopter. Jacqueline said that he then spotted the vessels of the HMAS Perth of the Australian Navy and the Seychelles coast guard and tried to swim towards them but was eventually spotted by the helicopter. Rescued by the coast guard, Jacqueline and Rio, who had passed out by then, were given first aid before being transported to the hospital. “At no point did I think of giving up. My belief in God is what kept me going. The body of the third person who did not survive the accident, Bernard Camille, 65 -- also a friend of the family was found in the sunken vessel after it was salvaged. Jacqueline and his mother Jeanne-Marie Mousmie also present during the interview, are grateful to everyone who helped in one way or another during the ordeal. Jacqueline has also echoed concerns raised by the public with regards to the need for patrols in the waters during such a busy holiday period. In spite of everything happening so fast and describing the incident as something he will never forget, Jacqueline is not contemplating staying away from the ocean. “I will definitely go back to sea. When it’s my time to die, it doesn’t matter where I am, it will still happen. We cannot hide from destiny,” said Jacqueline.